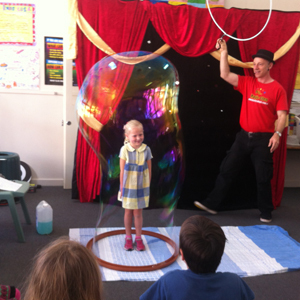 The Science Magic Show -That Kids Love! 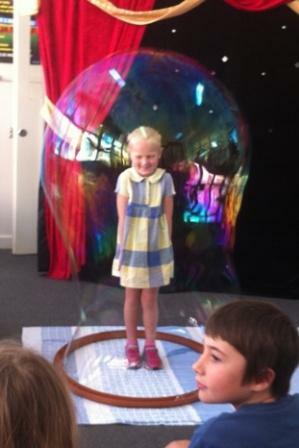 Are you looking for a Fun, Educational, Entertaining, Interactive Science Show for Children in the greater Brisbane area? Suitable For: vacation care, outside school hours care (OSHC), birthday parties, schools, libraries, community events, corporate events, fetes, festivals and shopping centres. 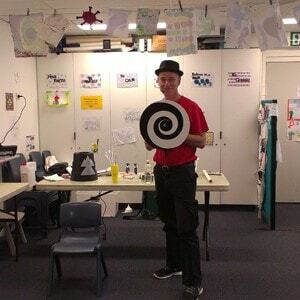 Using Magic to Teach Science in an Entertaining and Interactive Way. This science magic show was borne of my interest in Magic and my fascination with quirky science phenomena which I now want to share with children to inspire them to investigate more closely, the world around them. 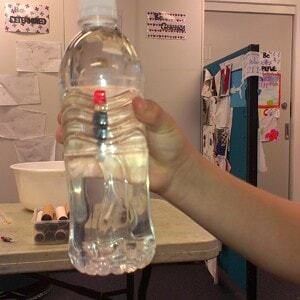 Milton State School – National Science Week. Yes Kids Learn…While They Are Having Fun…it’s the best way! Most of the science tricks, stunts and illusions require virtually no props, just a piece of paper, a straw, a plastic bottle, not much more than that. I wanted to have a show where the children become the educators. The children can use what they have learnt then go and demonstrate and explain the ‘tricks’ to their parents, family and friends and then explain the scientific principal that make the magic work. Some of the facts they will remember for a lifetime. Broadly, this show is aimed at 6-12 year olds although there is plenty to keep older children and even adults interested and entertained. NO DANGER: I wanted a totally safe show. NO EXPLOSIONS: I see some science shows ignite gas to create explosions. NO FIRE: I do not want to encourage the use of fire, matches or flames. I am happy to say that the Science Magic show meets and exceeds all the criteria. 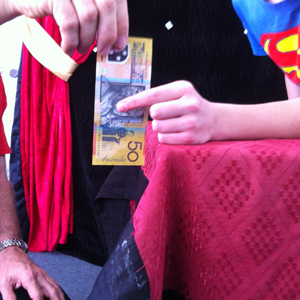 The 1 hour science magic show cost is $400. A budget 45 minute option excluding the ‘child on a bubble routine’ is available for $350 Feel free to contact me for a no obligation chat.